Does Wheelhouse account for orphan nights? Does Wheelhouse account for booked and blocked nights surrounding an open night? Wheelhouse does account for orphan nights in our algorithm to ensure we factor in whether nights are isolated or not. This means lowering the price for gap days which are squeezed in between booked and blocked dates in the calendar. 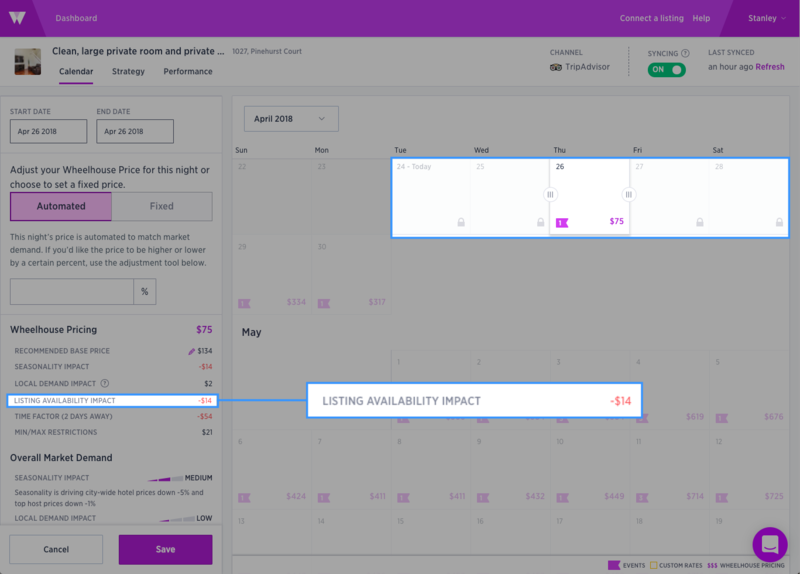 The Listing Availability Impact shows you how much we reduce that day's price due to being a gap day.